"... What I've found with this intra-drink compared to the other is the extra pump. Well with the added massive amount of citrulline. I also you this with Pre-Kaged so it's a massive amount. Love it and wouldn't train without it. Worth every penny." Natural and Properly Tested Ingredients for the Optimal Results! 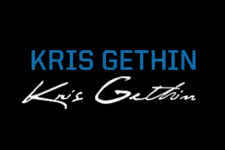 Since Kris Gethin released his amazing line of supplements, the industry truly has been turned up side down on it's head. He's one of the first to truly spend years of research before even considering releasing a supplement. In an industry in the year 2017 where any Joe Shmo can print a label and release their product over night, it's a good secure feeling to have companies like Kaged around. Providing the most complete serving sizes with the correct amount of ingredients speaks volumes. Using natural and safe ingredients and scoop sizes bigger than protein servings, it's truly the highest quality around. 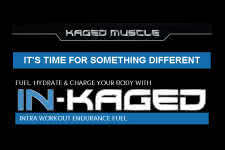 With In-Kaged, this is the perfect pairing to his pre and post workout supplements. It's the right mix of ingredients to help you push through even the toughest of workouts. Increased endurance, focus and that all consuming pump. You always get the best of the best including fermented BCAA which is not found in other intra-workouts patented Carnosyn. Once you've added this to your training log, you'll never look back! Comes in two delicious flavors of Cherry Lemonade and Watermelon. 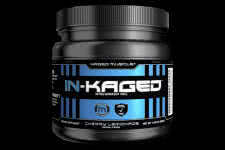 Includes Fermented L-Citrulline for added pumps through your session! !